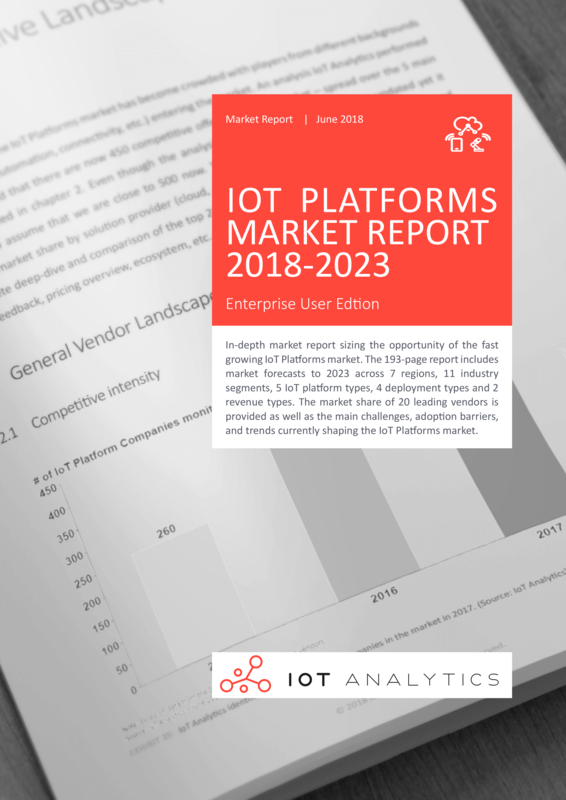 IoT Platforms Market Report 2018-2023: Get Your Copy Now! IoT Platforms are emerging as the central backbone in the overall IoT infrastructure. IoT Platforms are a piece of modular software technology that enable solutions for IoT device connectivity, device management, data management in the cloud, application development and enablement, and advanced analytics for connected IoT devices. This 193-page report examines the IoT platforms market in detail including 60 charts and 30. 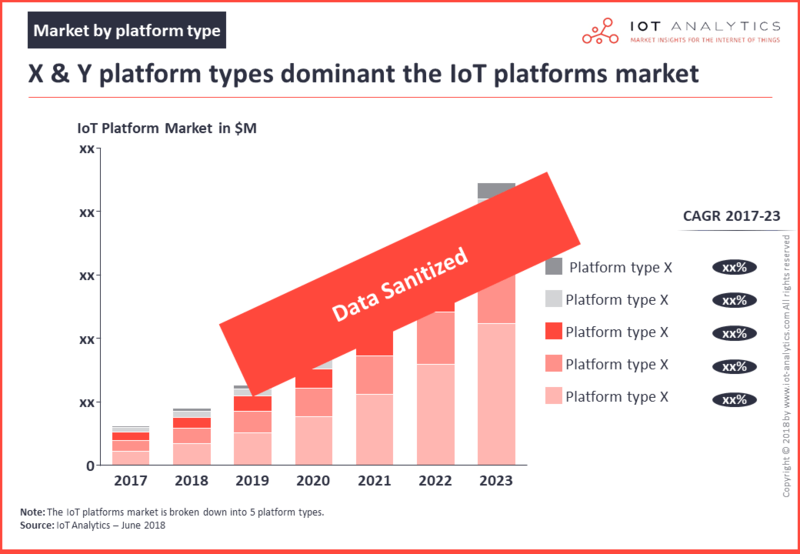 The IoT platforms market continues to exhibit strong momentum as businesses accelerate their transformation into IoT data-driven companies. This momentum is driving strong growth in IoT platform-related software and services for connected business solutions. This report details how the IoT platforms market is forecast to grow and become more than a $22B opportunity by 2023 with critical analysis and driving factors. A vertical breakdown is provided with industry forecasts and growth rates to 2023 for 11 segments including: Agriculture, Connected Buildings, Connected Car, Energy, Health, Manufacturing, Public services, Retail, Smart supply chain, Transportation, and Other. The report includes a deep-dive with rational and insights into each segment of the IoT platforms market with revenue projections to 2023. To get a better understanding of the leading use cases enabled by IoT platforms in each segment the report highlights 33 examples of real enterprise IoT projects in the market. There are 5 types of IoT platform and the report breaks down the market revenue generated by each type including advanced analytics platforms, application enablement platforms, connectivity platforms, cloud platforms, and device management platforms. There are 4 types of deployment for IoT platform and the report breaks down the market revenue generated by each type including hosted private cloud, hybrid cloud, on-premise, and public cloud. 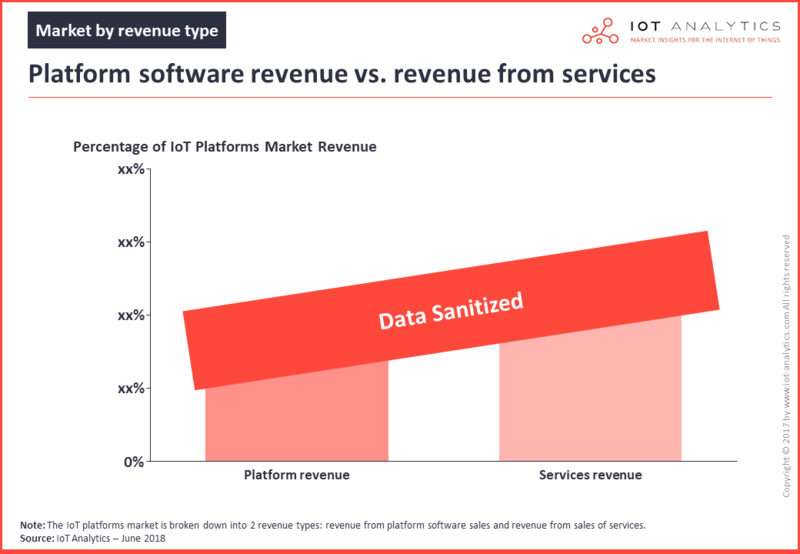 The report breaks down IoT platform revenue for 2017 into two types, mainly platform software sales versus services sales. The IoT platforms market is broken down into 7 regions with growth estimates to 2023 for Asia, Europe, Middle East Africa, North America, Oceania, South America, and Rest of World. A country level breakdown is provided for each region with individual growth rates – across 46 countries in total from around the world. The report identifies the leading companies in the IoT platforms market, estimates their corresponding market share and highlights the leading players for each of the 5 platform types. As part of this research, investments in IoT platform startups from 2011 to 2017 were tracked to understand how much money is going into the market. The report examines what type of company is typically the primary IoT vendor for organizations developing IoT solutions. Customers of IoT platforms were surveyed to understand what the most important needs are for end-users. 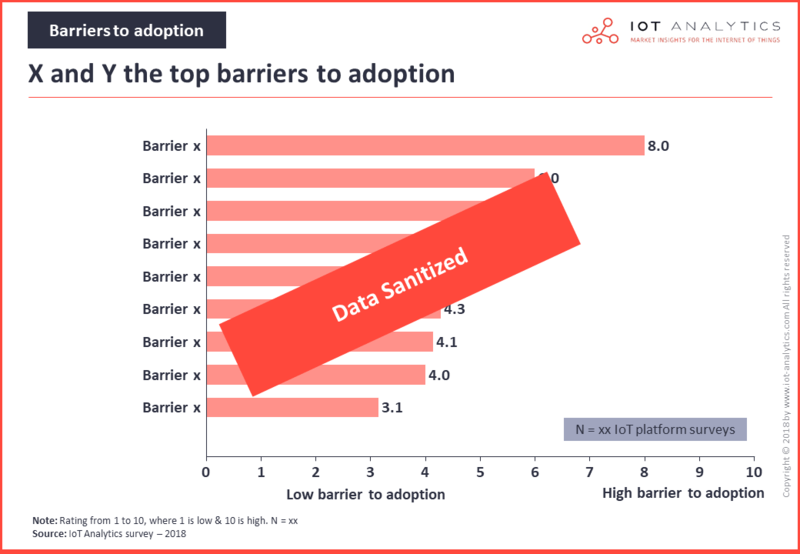 Platform vendors reveal the top barriers to adoption for IoT platforms. What is the current size of the IoT platforms market? How fast is the IoT platforms market growing? How much will the IoT platforms market be worth by 2023? Which companies are leading the IoT platform market? Which industries are fueling adoption of IoT platforms? Which regions are driving growth for IoT platforms? How much funding/investment is going into the IoT platforms market? Which key mergers and acquisitions are shaping the IoT platforms market? What are the 5 types of IoT platform? What are the major components that make up an IoT platform? Which is the most common hosting environment for IoT platforms? What are the most common application deployment architectures? What are the main security elements of the platform? What role does edge computing play in IoT platforms? What is the role of a digital twin in IoT platforms? What is the role of interoperability and standardization in IoT platforms? What is involved in bringing an IoT platform to market? How long does it take to reach platform profitability? What market strategies do platforms use to go-to-market? How is platform collaboration affecting the ecosystem? What is the sales approach of IoT platforms? How do customers approach platform selection and evaluation? Who is the primary vendor in the lead for IoT solution development? What are the most important customer needs? Which are the main challenges and barriers to adoption? What is the role of open source vendors/communities? Which use cases are enabled by IoT platforms? The terms and conditions of the different plans for the IoT platforms market report can be found HERE.